Connecting you with your audience. 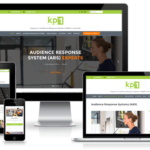 Godaddy interview promoting kp1 in business with their services and online products. If you’ve ever been in a presentation and found yourself zoning out, no longer listening to the speaker — whether that’s a keynoter at a conference or your own CEO at a large company meeting — you certainly aren’t alone. With kp1 Phillip Cohen saw an opportunity to change these meeting and presentation dynamics. 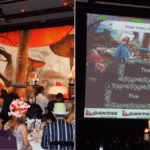 The Sydney-based small business specializes in audience response software, helping companies make presentations, meetings and conferences more interactive. With audience response systems, audience members can weigh in on questions using keypads, and results and can be shared in real time. The benefits? Audiences retain more information from the presentation. After a high-level audit of various products and providers, Phillip followed his website developer’s recommendation, choosing GoDaddy for its fully managed WordPress solution. He added an SSL certificate to keep customer data safe and secure and SiteLock to protect against potential online threats. 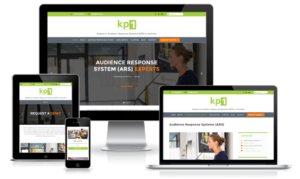 The kp1 website includes a blog, which Phillip describes as “an excellent vehicle to update target and current customers not only on the benefits of audience response systems but also industry news and trends.” Many of kp1’s sales result from enquiries made on the company’s website making it an impressive return on investment. In fact, he’s seen a 15- to 20-percent increase in sales with about 90 percent of these sales coming as direct result of website enquiries. 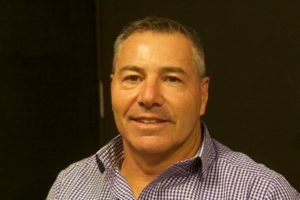 To help round out his business’s online presence, Phillip purchased Microsoft Office 365 from GoDaddy. The professional productivity and email package enables kp1 to communicate and collaborate, anywhere and anytime. Happy with GoDaddy’s flexibility and product ease-of-use, Phillip has also purchased Personal Email and Personal Domains for his wife and children. kp1 has changed today’s face-to-face PowerPoint presentations from a one way delivery tool to a two way communication vehicle. Through our audience response system (ARS) your conference delegates, company employees or students are taken from a passive environment to an engaging one, and our simple software solution can be the most powerful tool that you have ever used.